UDM Downloads > Sauver Personal Backup! Sauver Personal Edition Backup is true "Set and Forget" backup. Define any number of full, incremental, or differential backups, with a wide range of scheduling options. No need to execute the backup manually. No need to remain logged on for the software to work. 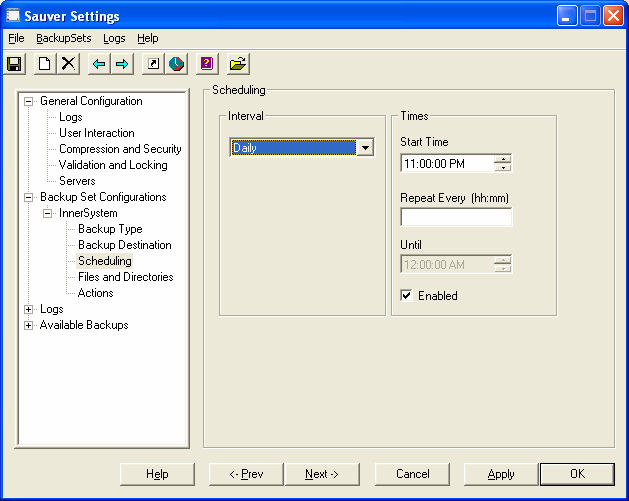 Sauver can schedule backups daily, weekly, monthly, when logging on or logging off, with optional repeating. Specify Incremental or differential backups, any number of cycles, and any number of partials per cycle.